World Travel Market delivers the leading global events for the travel industry. One of six shows in the WTM portfolio, 2018 will be the sixth edition of our Latin America show bringing our global event and expertise to this region. 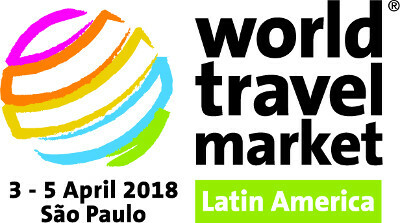 Through our industry networks and unrivalled global reach, WTM Latin America creates personal and business opportunities, providing customers with quality contacts, content and communities. Taking place in Sao Paulo Brazil, this business-to-business (B2B) show attracts a global audience to meet and shape the direction of the travel industry. Over three days, more than 6,500 influential visitors and 700 exhibiting companies attend to network, negotiate and discover the latest industry news. This vibrant event offers visitors the opportunity to discover the world under one roof, network and learn from industry renowned speakers. At WTM Latin America 2017 Frederico Levy and Márcio Favillia discussed the industry’s contribution to sustainable development in destinations.